RARE OPPORTUNITY Stunning direct riverfront townhome with quality designer upgrades! Live the serene life of luxury in this incredible open concept living home highlighted by sweeping river views, hardwood flooring, soaring ceilings and and beautiful natural light. Custom built chefs kitchen WOWS with top of the line appliances and amazing quartz countertops, solid wood cabinetry, built in desk and tons of storage. Ground floor master suite with ensuite bathroom complete with his and her sinks, spa jetted soaking tub and vanity. 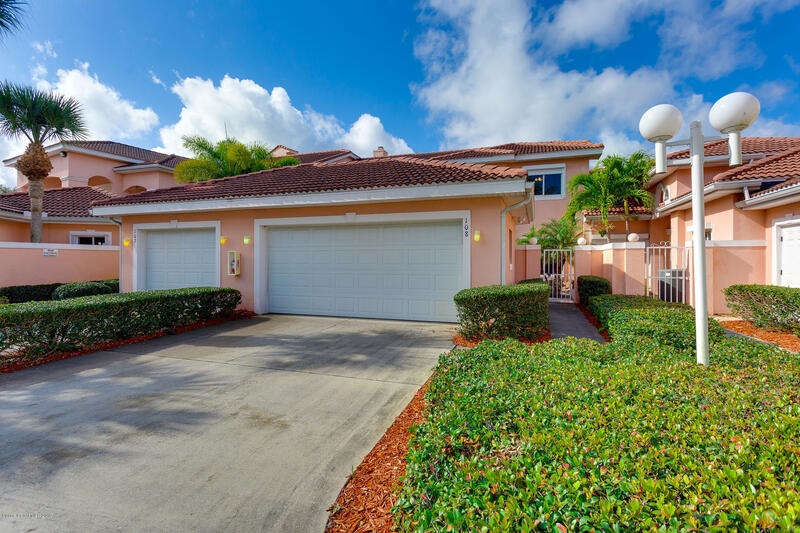 Spacious guest rooms, oversized two car garage, large indoor laundry room, power hurricane shutters. Private community pool, tranquil community dock. Don't miss your chance to live the good life, this will not last! !